Quality Deer Management is a key component of managing a healthy deer herd. It’s also a very important skill if your goal is to shoot older, bigger deer. You can’t do that without being able to determine what age class a deer falls into. That’s why we’ve developed this interactive guide to help you brush up on your age-estimating skills. Bucks really are a blank canvas. People often question what I mean. Simply put, every buck is different. Antlers are different. Attitude and behavior vary. However, one common denominator remains — body structure. Overall size (weight) will be different from buck to buck — even those in the same age class. 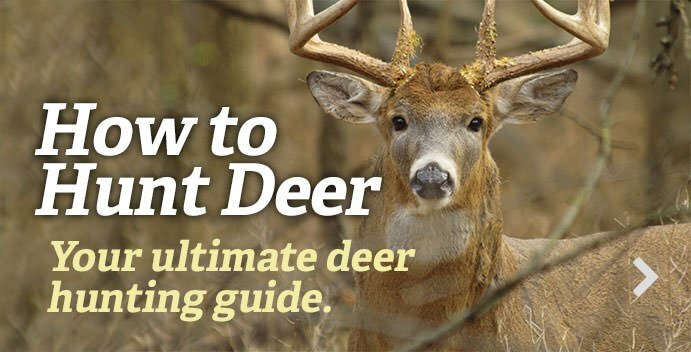 But how proportionate a buck’s body is will follow fairly strict guidelines that apply to most all deer. The first rule of thumb is to envision the buck without its head gear. Antlers can sway decisions one way or the other in a biased manner. As a deer ages, its body weight shifts in ways that make it easier to determine age. Because of this, I utilize certain “visualizations” when aging deer in the field. I start by imagining the buck suspended in mid air. Then I visually “place” a two-by-four board underneath the deer, midway between the front and back legs. Whether the buck tips backward, forward, or balances without moving, helps to better determine the age of a whitetail. The secrets are revealed within the following list of age classes. Bucks with their first set of antlers are the easiest to age. Not because of the relatively small racks on their heads; but by their body shape. At 1½ years, bucks are all legs. The back of the deer will also slope at a sharp downward grade from the rump to the shoulder. Ultimately, they resemble a doe with antlers. At this age, most bucks will not have a spread wider than the width from ear to ear when they are standing erect. Most of their weight will also appear to be shifted toward the back half of their bodies. Little muscular growth will be witnessed in the shoulders and brisket. Very light staining of the tarsal glands will be present. Using the aging trick, a 1½ -year-old buck will appear to quickly tip backward with more weight on the back half of the body. The easiest way to describe this age class is to compare it to that of a mature doe on steroids. At this point in their life, bucks still appear to be all legs. But more mature attributes are starting to show up. You’ll see minimal muscular definition. The belly will still hold a tight line across the bottom with no sag. Swelling of the neck will be minimal at best. If during the rut, lightly stained tarsal glands are the last thing to look for in determining if a buck is carrying its second set of antlers, which likely won’t be greater than 16 inches wide. If placed on a two-by-four, this buck would still tip backward the same as a yearling whitetail. These bucks are comparable to that of post-adolescent males. Testosterone levels are really starting to kick in gear. So naturally, he believes he is the biggest punk in the woods. This is why most bucks never live to become a 4-year-old deer. Whitetails of this age class are often mistaken to be in their prime, when ultimately, they are not. The neck will show a fair bit of swelling now. The chest and shoulders will appear to be much larger, too. However, there is still a defining line separating the conjoined neck and shoulder. This age class also exhibits a tight waistline. Moving further down the back leg, moderate staining of the tarsal gland is likely. And with ample nutrition, impressive sets of antlers are very possible. Using the aging trick, these bucks will most likely appear to tip forward, but could also appear to be balanced from rump to shoulder, depending on exact age. During the rut, this age class will be most active. This is the appropriate age that hunters should begin harvesting bucks if QDM (quality deer management) is their goal. For the average buck, the skeletal and muscular system is reaching its prime. By this time in their life, bucks will display 80 to 90 percent of their antler’s potential and are considered mature. The neck and shoulder now appear to be one mass. The defining line between the two has disappeared since the previous year. Necks will also swell significantly from intense testosterone levels. The stomach will still be relatively flat. Legs now appear to be much shorter as the body mass increases. Expect heavy staining of the tarsal glands. Using the provided field-aging guide, a buck this will most likely look balanced, but could tip forward on the scale. A buck is reaching its fullest point of maturity. At this point, both muscular and skeletal growth is definitely complete. More nutrients are available for antler growth now and the body of the whitetail is fully mature. Bucks in this age class sport 95 to 100 percent of their antler potential. The largest racks are generally grown between 5 and 7 years of age. Regardless of antler size, any deer that is taken this late in life is a trophy, though. Simply because deer this old have learned what it takes to avoid hunters. Anytime you wrap a tag around one of these big boys, savor it. It rarely happens. When it does, it was due to a meticulous and effective plan laid out by the hunter. Once a buck hits 5½ years old, it will start to show some sag in the belly. It’s possible the back will be slightly swayed. The chest will now be much deeper and heavier. The brisket may droop as low as the belly line. Legs will appear very short for its body. Neck swell will be immense. Very heavy staining of the tarsal glands will be present. Overall, using the aging method, this buck will exhibit a balanced body from rump to brisket. Very few bucks reach this age class. The chest will be very deep and muscular. Look for incredible neck swelling, legs that look way too short for the body, and extreme staining of the tarsal glands. Definitive sagging of the belly will be visible and a sway in the back will be apparent. Many people refer to deer that reach this age class as resembling (in body shape) cattle. Using the aging trick, this deer’s body and torso will look balanced. Once a deer surpasses 6 to 7 years of age, it will also sometimes take on the appearance of having a “roman nose.” In others words, the nose will be rounded off between the eyes and nostrils. Most lose body weight and look younger than their ages. Think of them as elderly men. Often, their weight drops and their movements are not as “bold” as an individual in his prime.